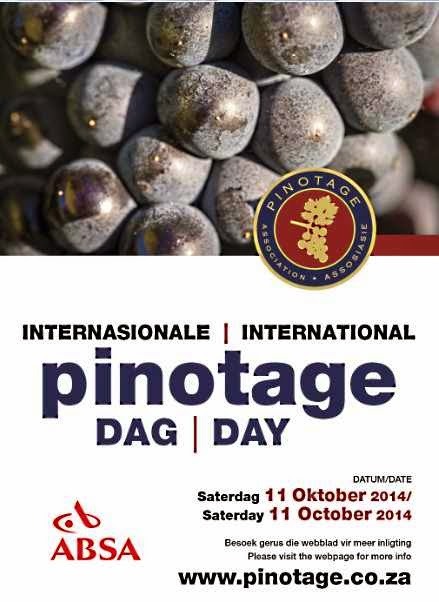 11 October 2014 has been declared International Pinotage Day. Many wineries are hosting special tastings and offering discounts on Pinotage. See http://www.pinotage.co.za/index.php/news/201-pinotage-day for details. And if you can't get to the wineries, open a bottle of Pinotage and join in the spirit. Cheers! !